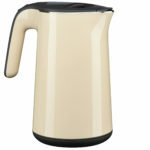 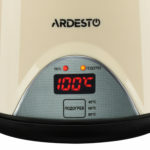 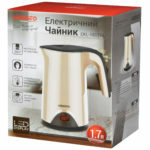 Beige electric kettle with maintenance of temperature function, dual walls, LED display and overheat protection. 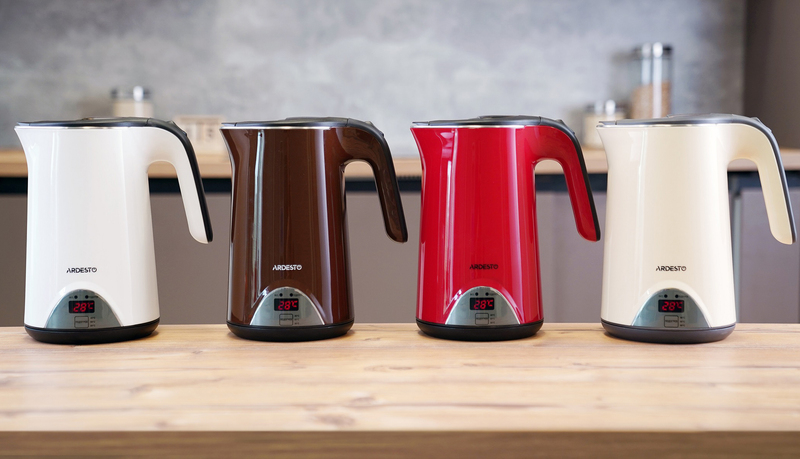 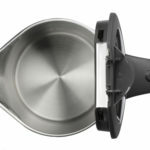 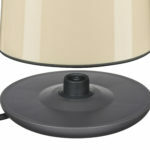 The kettle volume is 1.7 liters, and the stand provides a 360° spin. 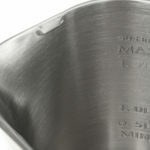 The material of the case is a reliable and durable polycarbonate. 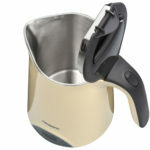 For comfortable use there is a comfortable handle.